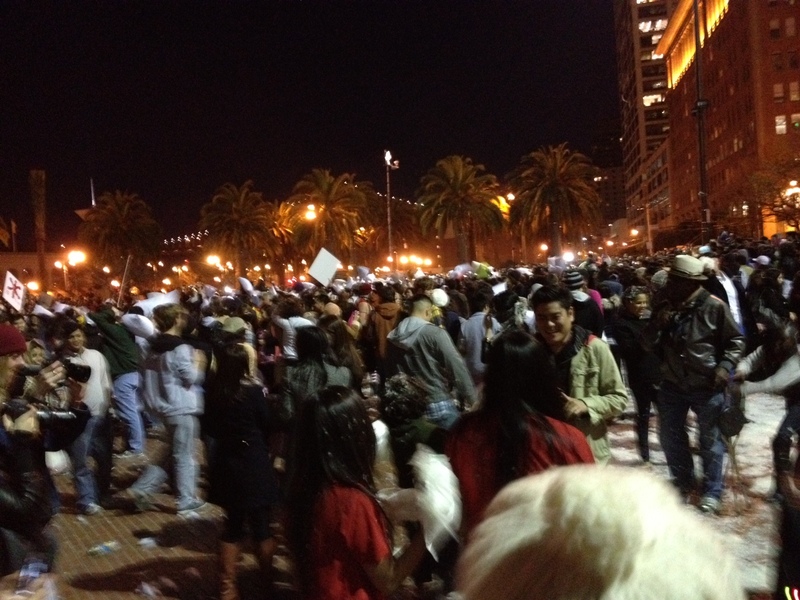 San Francisco Valentine’s Day Pillow Fight is an annual tradition that happens by the plaza across from The Ferry Building. It starts right when the Ferry Building strikes 6pm. 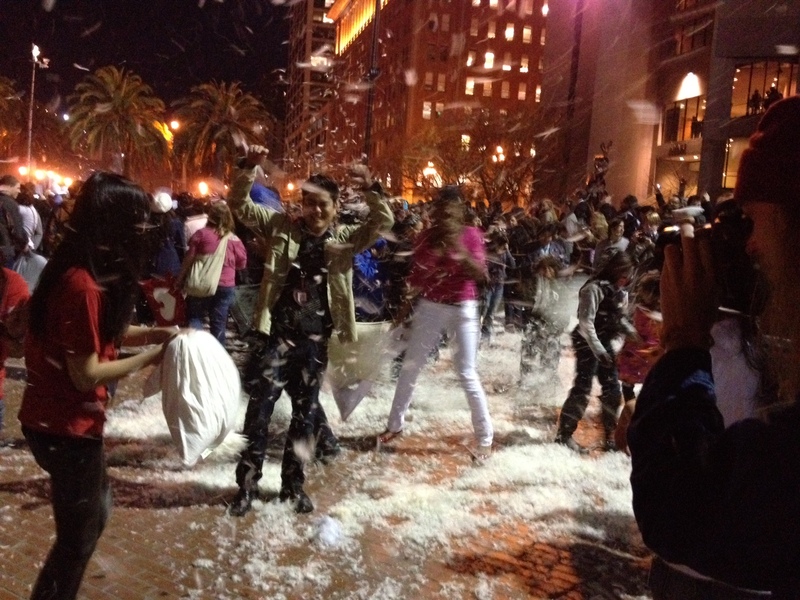 The pillow fight this year went on for hours as tiny pieces of feather continuously billowed into the air all evening. It is a great way to relive our childhood fun of pillow fighting. You can stand on the side cuddled in your partner’s arm as you observe the party or participate in the bedroom-activity-brought-out-to-the-public fun! Just be careful not to breathe in any feathers! 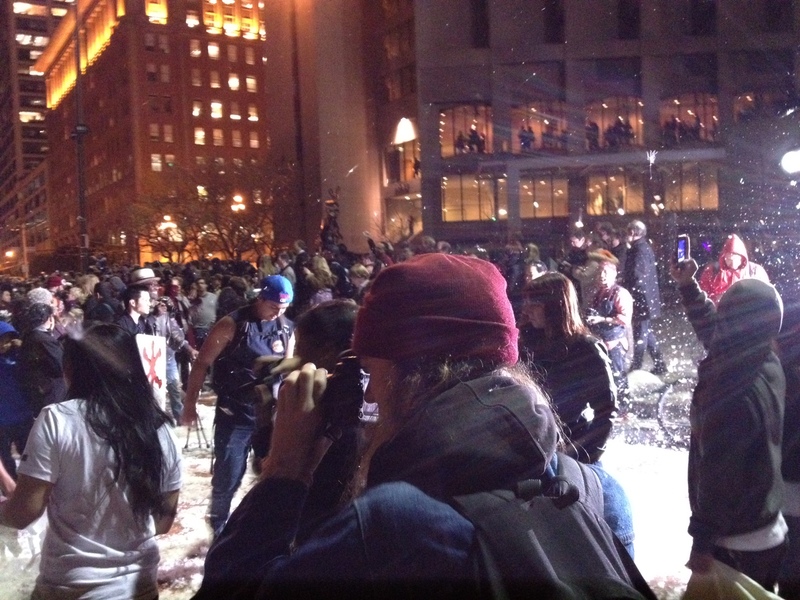 Picture we took at this year's SF Valentine's Day Pillow Fight. Notice how the ground is covered in feathers!